The Double Layer Safari necklace from White Stuff has 2 rows of contrasting beads - small wooden and speckled ceramic. 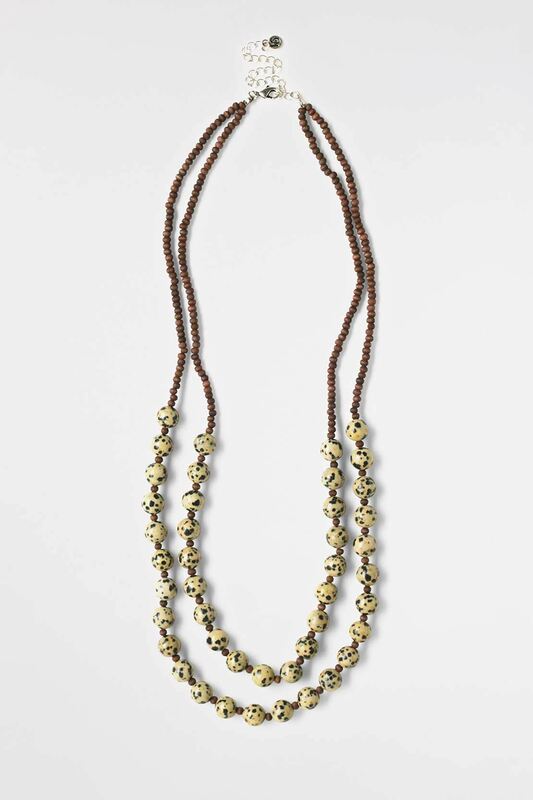 The Double Layer Safari necklace from White Stuff has 2 rows of contrasting beads - small wooden and speckled ceramic. It fastens with an adjustable metal clasp an is a great way to add interest to casual outfits.